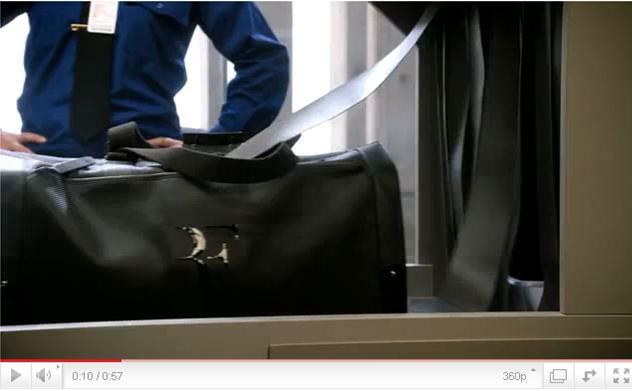 Video: A TV ad for Lindt with Roger Federer, who’s traveling through an airport security line with some balls in his bag. He gets questioned by two agents, and awkwardness ensues. 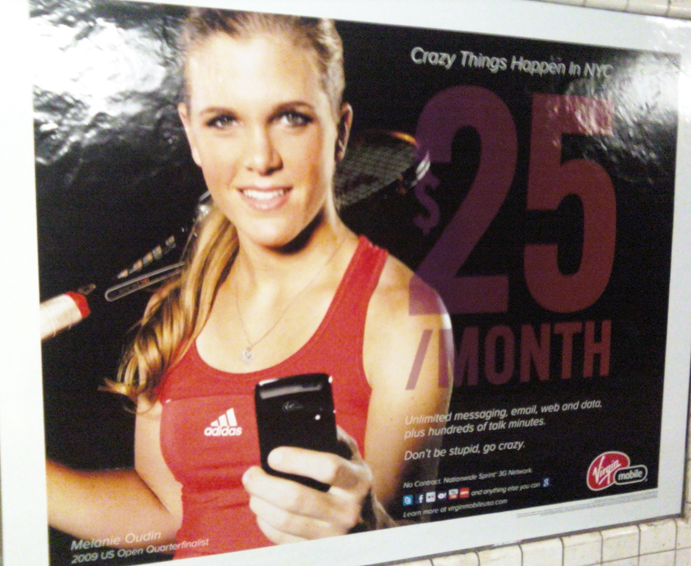 Aside from the USTA‘s “It Must Be Love” campaign, which came back for a sophomore turn at this year’s US Open — and Melanie Oudin‘s perfect execution of a wince for these Virgin Mobile advertisements — the one promo that kept catching our eye was Tennis Channel’s ads. We snapped this one near Times Square. So I’ll be putting up a few “flashback” posts that’ll cover the clothes/gear from the year’s final major. In case you’re ready to just look forward, I’ll be marking them in the title so you can just skip over. I’m off to my friend Robert’s to soak in some sun (poolside!) before summer disappears. In the meantime. I’ll leave you with this fun Levi’s billboard that was up near Lafayette and Houston. There are moving parts! It’s a little beyond me why athletes like Eli Manning, Apolo Ohno, Shaq and Venus are part of endorsements deals like the ad campaign for Nabisco’s Oreo cookies. Laundry detergent? OK. Watches? Sure. Deodorant? Fine. But for these athletes who pride themselves on being healthy, active individuals, why a cookie that’s made up of pure sugar? And to boot, this commercial is dismal. I don’t quite understand the Team DSRL angle, but it looks like they’re encouraging the youngsters to be somewhat active? If so, kudos. Oh, and Oreo: ‘stuff’ is spelled with two Fs, FYI. Just putting it out there. 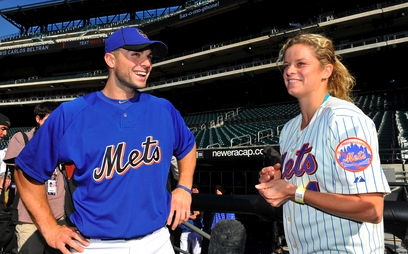 Kim Clijsters threw out the first pitch after meeting the Mets team in Queens on Friday in New York. A day earlier, she was the USTA’s guest of honor at the draw ceremony (AP photo via Yahoo! Sports). RalphLauren.com pulled out all the stops on Thursday afternoon for an event featuring Venus Williams, in which Venus took questions from online submissions from around the world in a live clinic. At the Sportime Randall’s Island tennis center in New York, Venus was on court for the first time in a public setting since her eyebrow-raising loss to Tsvetana Pironkova in the quarterfinals at Wimbledon. But instead of thwacking errors and a look of confusion, Venus was all smiles and tennis knowledge in the clinic, which was hosted by the British TV personality (and former player) Annabel Croft. “It’s good for me to remember the basics when I’m about to play a big tournament,” Venus said, referring to the Open. Venus partnered with Ralph Lauren in the design of the dress she wore, a white number emblazoned with the logo of Eleven, Venus’s clothing line. Guests were greeted with sweet mint tea, pistachio ice cream sandwiches and caramelized popcorn on the upper deck at Randall’s Island, which hosts the New York Sportimes during the World Team Tennis seasons. Male models clad in red Ralph Lauren polos dished out the goods as Venus strode through the crowd on her way to hair and make up (this was a live, online clinic, after all). The clinic was a part of a myriad of events happening in New York this week, which all lead up to the big show at Flushing Meadows starting on Monday. oops! she did it again? Brand Oudin is making its biggest push in New York this week, one year after Melanie Oudin wowed the New York crowds and captured the nation’s attention with her eye-popping upsets. Oudin is part of campaigns with adidas, American Express and Virgin Mobile in and around NYC to promote the Open (and said products), even though the American teen is a dismal 3-11 on tour since May. The web was buzzing earlier this week with the announcement that Oudin would wear customized adidas shoes, this year with the word “Courage” emblazoned on them. Last year, her “Believe” shoes were a US Open obsession, spawning what many called “Melanie Mania” and setting Oudin up for commercial success with deals with companies like Virgin Mobile. The Women Who Serve blog said if it were really up to Oudin she might have wanted to chose “Forget” to go on her shoes this year… as in forget last year’s Open. But if Oudin wants to Oops! Do it again, she’ll have to do all those things: have courage, believe in herself and forget. The New York media will be shameless in the coverage and glamorization of Oudin in her return to New York, even the girl has obviously worked hard in the gym (check the adidas link… those biceps!) but hasn’t seen results on the court. Can’t we all just leave her alone? C Note thinks that’ll help, too. Maria Sharapova‘s part of “Babies on the Inside” campaign shot by Nathaniel Goldberg for Evian. In time for Maria being in NYC for the 2010 US Open (which starts on Monday), they’ve set up shop at the Openhouse Gallery in SoHo between 11 a.m. and 7 p.m. on Tuesday, August 24, to promote the brand. Swing by to get your picture taken in one of the tees, play some ping pong, and perhaps even see Maria when she drops by! They’ll also be giving away the baby tees and tickets to the Open. More info about the giveaway via Facebook. Buy: The shirts are available for just under $40 at Colette. Caroline Wozniacki might be adidas‘ choice to sport the much-coveted Stella McCartney line on the court, but her predecessor, Ana Ivanovic, still books the corner spot when it comes to ad space. 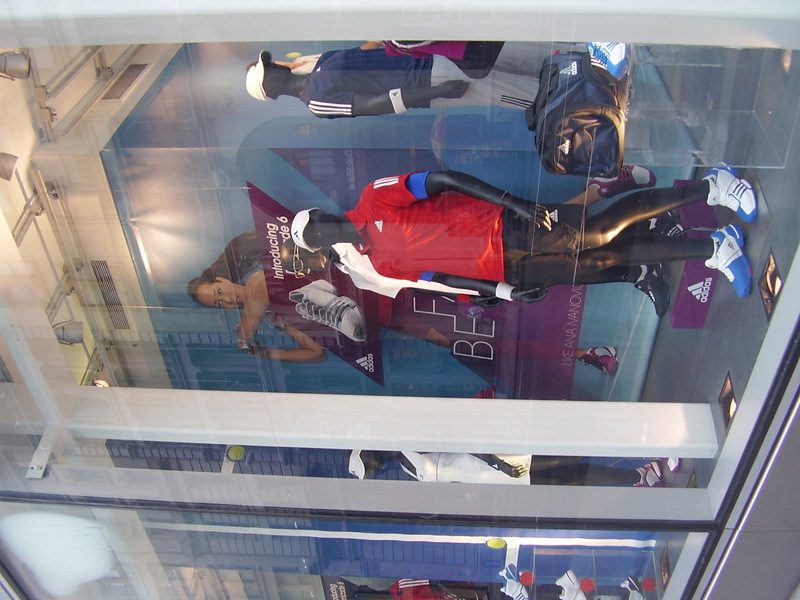 The adidas Soho store in New York has a bank of windows full of tennis players and gear (Wozniacki, Ivanovic, Jo-Wilfried Tsonga and Andy Murray) in anticipation for the US Open, but while Wozy might have the most square footage of any subject with her McCartney display, it’s Ivanovic and Murray who get one of Manhattan’s busiest street corners (Broadway and Houston) to peer over all day long. There’s no Maria Kirilenko (the former Stella gal) in sight in the window display (full photos after the jump), nor does 2009 US Open quarterfinalist Melanie Oudin make an appearance. SI tennis writer Bryan A. Graham brought to our attention this new condom ad from Durex, featuring highlights from the longest tennis match at history, played at Wimbledon this year between John Isner and Nicolas Mahut. Not sure that you can last for 11 hours and 5 minutes? Go ahead and give it a try, Durex has you covered. (Literally.) Click the image to watch the ad. More Isner: John is still alive at the Atlanta Tennis Championships as quarterfinals take place today. As is a Britney-inspired Andy Roddick. More longevity: In Germany, Frantisek Cermak and Michal Mertinek took down Pablo Cuevas and Eduardo Shwank in the first round of doubles with a 6-3, 3-6, 22-20 (match tie-breaker) effort. 42 points is no 138 games, but you gotta give the guys props for going the distance. short balls: what’s your britney moment? 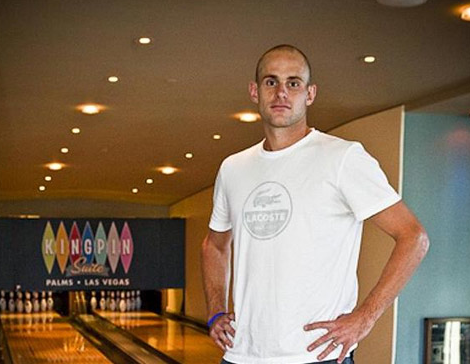 Leave it to Andy Roddick to make a head shave seem hilarious and semi frightening all at once. The top American, who lost in shocking fashion to unknown Yen-Hsun Lu in the fourth round at Wimbledon, told the ATP that “There was no deep reasoning. I had a Britney Spears moment after Wimbledon.” No deep reasoning?! Andy! Didn’t you follow the 12 months of Brit’s life before that head shave?? Her reasoning couldn’t have been deeper. It seems as though Roddick was mightily bummed by his disappointing performance at the All England Club, capping off a topsy turvy 12 months himself. Southern refreshment: Andy has taken his new hair (and new game?!) to the Atlanta Tennis Championships with a wildcard into the new event. See the draw here. While Roddick may be into head shaving, Serena is into nail-doing and Nicole is into marrying. In a recent Vogue online feature, writer Marina Rust, interviews Williams while she gets her nails done – by Serena! The manicurist (Serena aka Kandse) chatted about life outside of tennis while the two breathed in polish fumes, Rust making a good point when she said it was a better way for them to chat then trading a few groundstrokes. Meanwhile, former (yes, former) pro Nicole Vaidisova traded vows with Radek Stepanek over the weekend. Who knew that Vaidisova, who was locked in a tough semifinal battle with Serena just three years ago at the Australian Open, would be retired and married at age 21. Such is the life of a WTA superstar, we suppose. Martina Hingis is no WTA superstar anymore (nor is she involved with Stepanek… though she once was), but the Swiss Miss is continuing her post-tennis life by exploring the different pleasures of life. Her most current obsession? Polo. Hingis was spotted in Florida getting some polo lessons last weekend. Maybe Britney will cast her (or Andy?!) in her next video. The USTA has stuck with its “It Must Be Love” ad campaign for the 2010 US Open and has just released their series of commercials that will run during the US Open Series. There’s Andy Roddick and Serena Williams joking about Twitter, Roger Federer cautioning the between-the-legs shot and a host of other players in the interview chair for the 30-second spots. 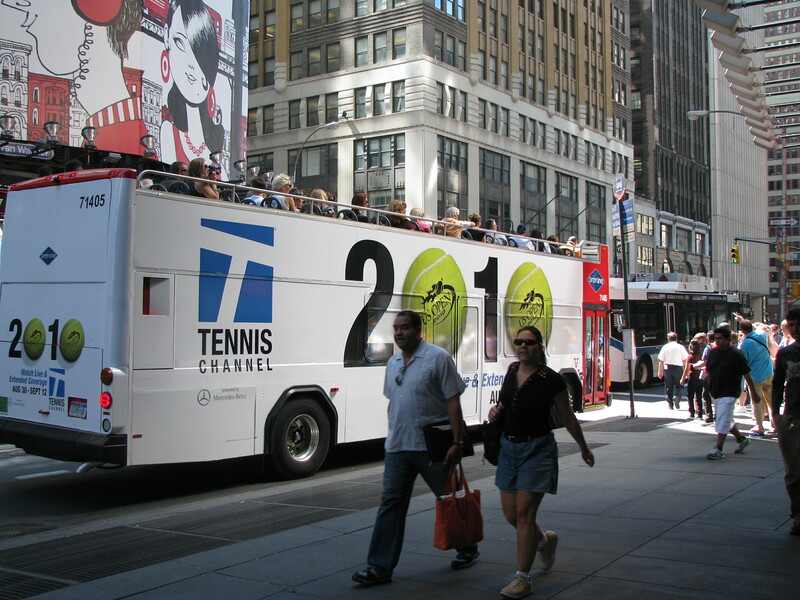 We’re feeling pretty good about round two of this campaign, which was successful last year for the USTA. The humor of the players comes out, but at times you can feel it being forced a bit (ie the Bryan Brothers arguing who is who). While the campaign focused mainly on players who speak brilliant English, our favorite commercial by far is Rafa‘s in his adorable accent. Nadal: “I love … paaaaaahsta ahn gumbaaas.” You’ve got to watch it to believe it. And of course, ever the fidgety 12-year-old boy that he is, Nadal is kneading a tennis ball in his hands the entire commercial, unable to stay still through the shoot. It’s real and endearing. Check out all of the commercials on the US Open’s YouTube page via this link. adidas has the FIFA World Cup in a lock but we’re pretty sure Nike‘s not losing any sleep. They can rest comfortably in the fact that they clothed some of the biggest stories at this year’s Wimbledon, including both singles champs (Rafa, Serena) and the marathon match with Isner. Gatorade has put out the first post-Wimbledon win ad featuring Serena Williams, and we’re liking it okay. We wish she would’ve kept a little bit more of a retro look in costuming, but the girl can smile, twirl, swing (and serve!) and we gotta give her props for smashing 89 aces in seven matches, a tournament record on her way to the title. Click the image above to watch the commercial! Who knew today would be such a busy tennis news day?! And here we were thinking all we’d have to do is count how many times John McEnroe used “she” in his commentary instead of identifying Zvonareva, Pironkova or Kvitova by name. We think it was somewhere in the ball park of 2,000 or so. My first-person account of trying out to be a US Open ballperson is up on the New York Times Straight Sets tennis blog. No, I haven’t heard back yet, but I can assure my tryout wasn’t quite as entertaining as Jimmy Fallon’s from last year’s Open. Hilarity. In case you haven’t heard yet, Justine Henin has sustained an elbow injury at Wimbledon and has already stated she’s likely not to play the US Open. So much for that comeback, eh? Oh, and remember the 35,000-seat stadium that was going to host the Justine versus Kimmy exhibition? 34,999 people are breathing a sigh of relief that Serena signed on to take her place. (OT) The Target Corp. is opening a new store in Manhattan’s Spanish Harlem nabe, on 116th and Pleasant Avenue. The company is going all out with advertising, including buying and entire 6 Train (which runs on the east side through Spanish Harlem) – inside and out – for brand advertising. Click the image above to see video. Pardon our forgetfulness, but we had somehow lost track of the kennethinthe212 blog, a witty and well-written corner of the web that dedicates a good deal of virtual ink to the world of tennis. Or, more importantly, the catfights of tennis. Most recently, Kenneth made sure to post Sandra Bernhard‘s angry Tweets scolding Pam Shriver for existing… er, we mean, for ridiculing Venus Williams. You tell ’em honey! The entire British population is hoping that Andy Murray can bring the kind of magic to Wimbledon that video editors brought to his new, catchy ad for Head. The nearly-two-minute spot has a sort of Powerade-impossible feel to it, as Murray saunters through the streets of (what seems to be) London and performs trick after trick with racket and ball. Could this thing go viral? A day after I found the link, it gained 9,000 views online. Kudos to the folks at Head, who need to re-think the entry page to their web site using the same brain that made this video, which – no surprise – is on the jump page inside the site. The World Cup has seemingly captured the world’s attention, though some folks quite disagree with that fact. As Ben Bergman writes on NPR, he’s flat out bored with the soccer, and thinks most of America is, as well. Several sports journalists that TSF follows on Twitter have mentioned how few goals have been scored in this year’s Cup thus far (9 scoreless halves, to note). Maybe that’ll up the chances for folks to turn the tube to another sporting event on grass next week, no? Just in case you’re still interested, the Village Voice has a hilarious guide on how to pretend to know what you’re talking about while watching the world’s game played out in bars across the country. Brush up on your futbol facts! Prince’s apparel (and footwear) digital catalogue is out, and while we’re not necessarily sure what to think of what’s inside, we do dig the looks of Alina Jidkova and Kveta Peschke. The girls are lookin’ good in ‘P’! Remember, you know, when Jennifer Capriati, you know, did press, you know, conferences? We do. The transcripts were littered with ‘You know’s’ all over the place. Though she’s one of the darlings of American tennis, J-Cap never really got, you know, fluid speaking down just right. In a new PSA for the American Tinnitus Association, Jennifer and her mother, Denise, square off in The Battle of You Know’s. The elder Capriati proved no match for her daughter Jenny. In just three and a half minutes, Jennifer logged in 11 ‘You know’s’ to Denise’s two. We hope this is a sign that her shoulder is healed and, you know, she’s ready to make a comeback. Los Angeles catches the FeVer: Imagine our excitement upon seeing Fernando Verdasco‘s Calvin Klein X photos go up onto the company’s Sunset Boulevard billboard in West Hollywood, Calif. For those of you who aren’t familiar: this billboard is the first of many that drivers see if traveling west on Sunset. Our morning commute just got a lot more interesting. Yanking our chain (reaction): Though we’d rather see Novak Djokovic participate in another sort of chain, this one — involving a HEAD racquet, two geeks, and a whole lot of tennis balls — will suffice for now. The racquet company’s newest campaign had the current ATP World No. 2 drumming up an idea for a chain reaction set-up triggered by swinging at a tennis ball (and eventually hitting a target). Video: So how’d Nole fare? Check out the video above (it’s kinda sweet, so we’d rather not spoil it). And when you’re done, you can look at background info here. Rewind: As you may remember, Djokovic was also the star of the “Speed Lessons” campaign, which came out a year ago. Fast-forward: Brit Andy Murray‘s next up to bat. His video will be shot in the coming weeks and will debut later this year. Where do we sign? You know that we here at TSF are split about our love for Fernando Verdasco (and after a recent trip to New Haven, I think I snapped Nick out of his, ahem, FeVer) — but consider us converts after seeing these preview pics of the Spaniard showing off his goods in Calvin Klein underwear. Calvin Klein X is a new range of men’s briefs being marketed around the world, and they’ve signed on Kellan Lutz (one of them Twilight vampires), Mehcad Brooks (True Blood), and soccer player Hidetoshi Nakata along with Verdasco to promote the line. Set your alarm: Our mice will be clicking over to xmarkyourspot.com to see more of these guys’ goods (shot by Mikael Jansson) on February 15. A belated Valentine’s Day present for everyone. More: Pics of the other guys after the cut. You’re welcome!